The other part of that 'not-fun' is my track was marginal at best, and over the winter it developed lots of kinks. I do not have the patience to rip it out and redo it! Hopefully it'll be good enough to get trains to run, but I might end up with a very large diorama! Getting control over your local climate might help on that front. My layout is in the far back room furthest underground where the temp is pretty constant and humidity in my basement is surprisingly low. I certainly like the look of your fire car. 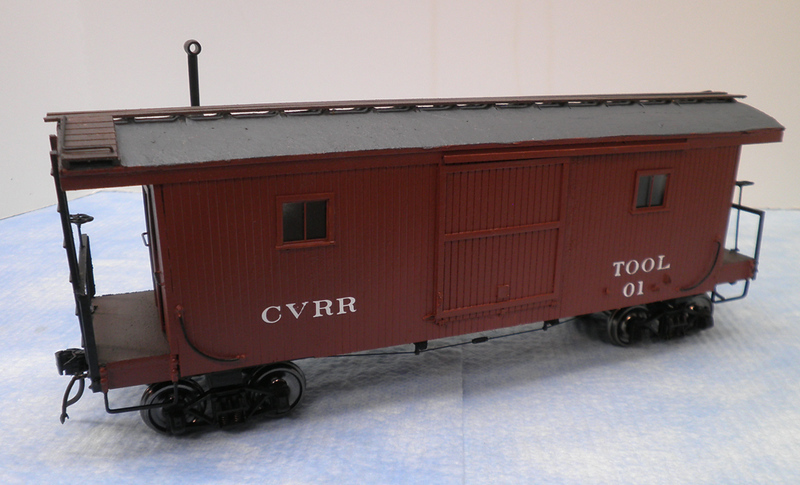 The CVRR has a very talented car shop. Your newest car is intriguing. Yes, even to me! 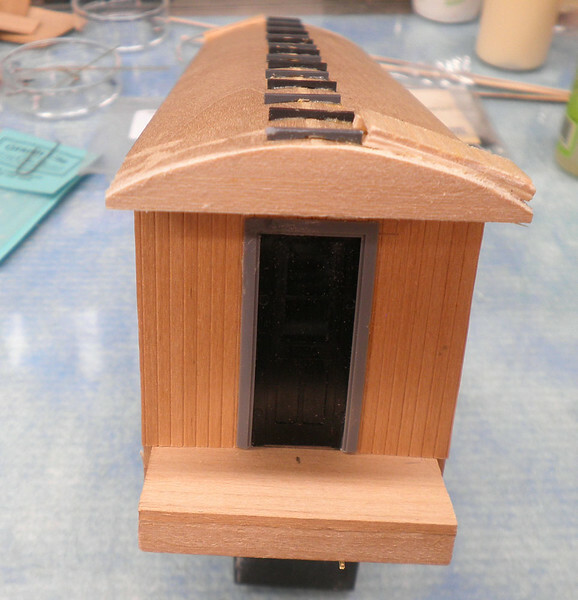 The base frame was out of a project box with a bit of sketch included and when I measured it, the width was a bit narrow so I'm using one of my reconstituted traction roof sections to match up with floor. Every step forward is another adventure particularly when I'm not altogether sure where I'm going! Every step forward is another adventure particularly when I'm not altogether sure where I'm going! Just don�t step on the third rail. Indeed. That might be filed in that category we technically term, "Bad". 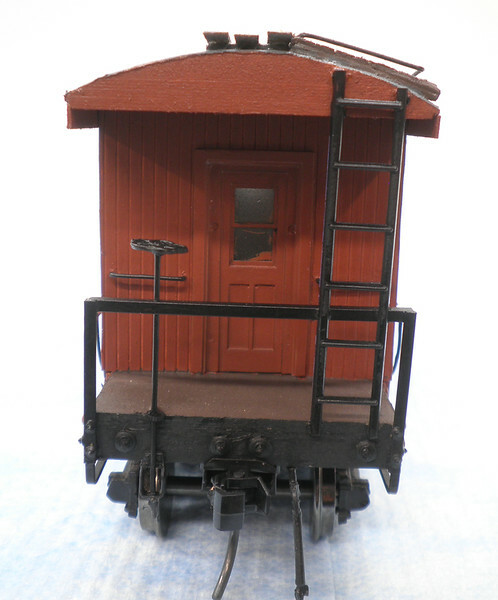 Cold weather is a modeler's best friend - stay inside and get stuff done! 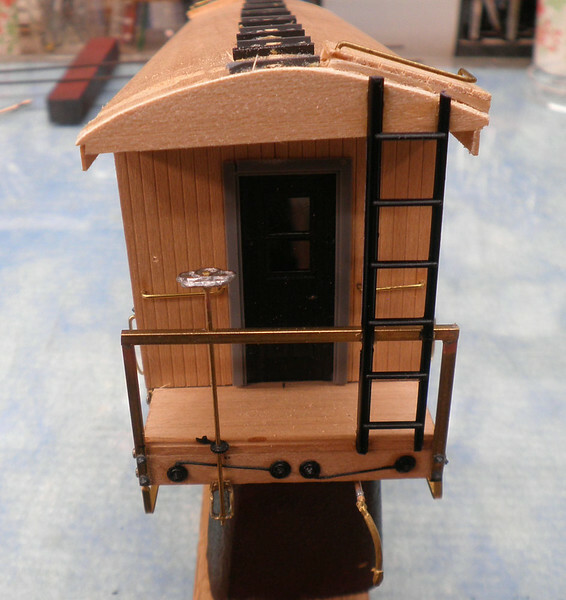 Basically assembled, doors scratched together, ends inserted, and roof bits added. Underbody started. Nice start, Martin. If cold weather drives your modeling, you ought to get a lot done this next week. I'll be squeezing modeling in between carrying firewood in from out back. Books to read, journal to edit, magazine to edit.....models to build. Think I'm pretty set. Sides and ends pretty well done and some roof details added. Moving right along, Martin. Cold weather is your best friend. Have you considered some additional grabirons on the outside of the stirrup steps? Looking at that, it would be a real pain to climb up there, particularly if the car was moving. There are grabs on the side outside of the stirrup steps; grabs on the ends are not there yet. End railing also is there. A few details added and the underbody bits, too. Well, in any case fast forward and done! On to the next project box!